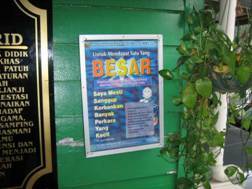 The Sarawak School for Blind (SK Pendidik Khas) is located at Jalnn Batu Lintang, Kuching. 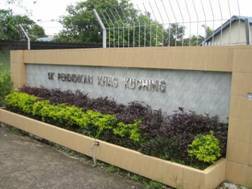 It is a boarding school for blind students from all over Sarawak. Currently there are 39 students aged 5-15 in the school. During the screening, the most common causes of blindness are congenital microphthalmos, retinopathy of prematurity and congenital cataract. The screening was headed by associate professor Visvaraja and colleagues from Universiti Malaysia, Kuala Lumpur as part of the national wide screening programme to document the causes of childhood causes in Malaysia. 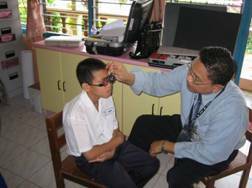 We are also grateful to Mr. Nazirin, Head of the Optometry department in Sarawak General Hospital, Kuching for performing the refraction. Meeting with Mdm Faridah before the screening. 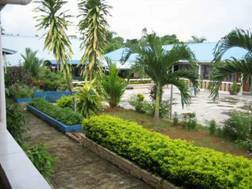 A view of the school compound. Prof. VIsva examining a student. 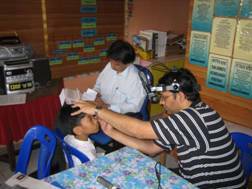 Dr. Dinesh examining another student. 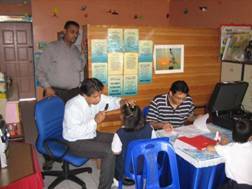 Mr. Nazirin refracting a student..
many small thing to achieve a BIG thing”.